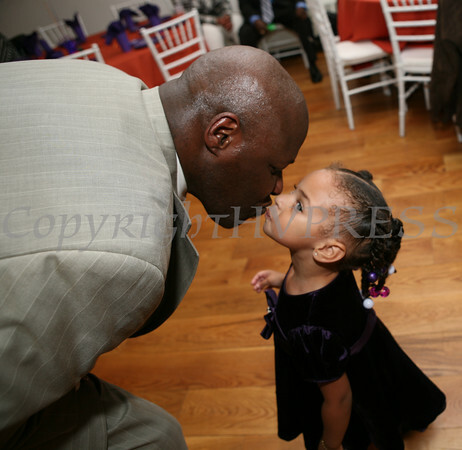 Martin Kemp give his granddaughter a kiss during his retirement celebration at the Ritz Theatre on Saturday, October 24, 2009. Kemp is retiring from the Newburgh Enlarged City School District where he has been a security officer for 30 years. Hudson Valley Press/CHUCK STEWART, JR.